CLEVELAND, OH (WOIO) - The Cuyahoga County Progressive Caucus said they are against the Quicken Loans Arena transformation deal. 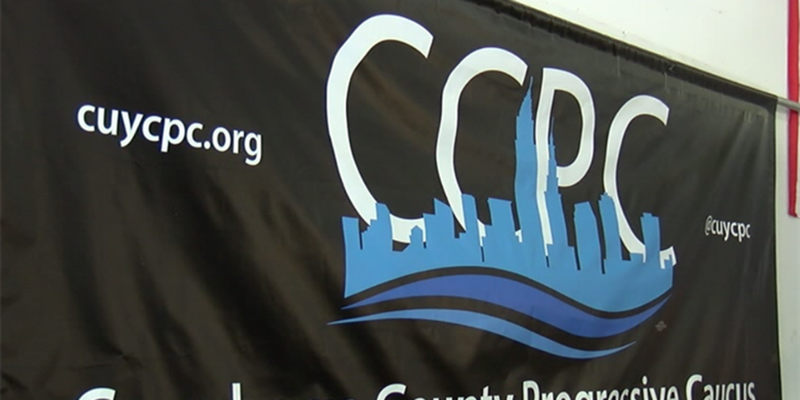 CCPC Political Director Steve Holecko said he does not want any tax dollars to go towards the project. Back on Jan. 12 Greater Cleveland Congregations held a news conference to announce their displeasure of the deal. Both groups are using the hashtag #NotAllIn. Holecko said on Tuesday Feb. 14 both groups will attend Cuyahoga County Council to voice their views. He also encouraged people to call members of County Council to voice their opinion if they are unable to attend the meeting. CCPC Operations Director Tristan Rader gave examples of where some of the money being used for Quicken Loans Arena can be used for. He said the money could pay for naloxone kits in the county for a year and help RTA get out of their deficit. Outreach Director Yvonka Hall said workforce development in the area should be improved. She said when employment goes up, violence goes down. "Employed people take care of their property and they pay their mortgage," Hall said. Holecko said as long as LeBron James is playing for Cleveland, the Cavs will do fine with revenues. He asked what happens when LeBron's career is over. "The renovations aren't going to bring fans to the 'Q' at all. It's the product on the field," Holecko said.